Never underestimate the power of typography! Finding the right font definitely solidified RevivALL Clothing's brand. This innovative clothing company not only uses up-cycled materials (that's the Revive),they also create garments and accessories for everyone, no matter what size, shape or gender (that's the ALL). It was important to express this in the logo. We emphasized those elements through varying font weights and the use of italics. We didn't want to loose the graphic element of the "R" from the company's previous logo, so we incorporated it in a new layout and paired it with a classic, western inspired, serif typeface. Voila! 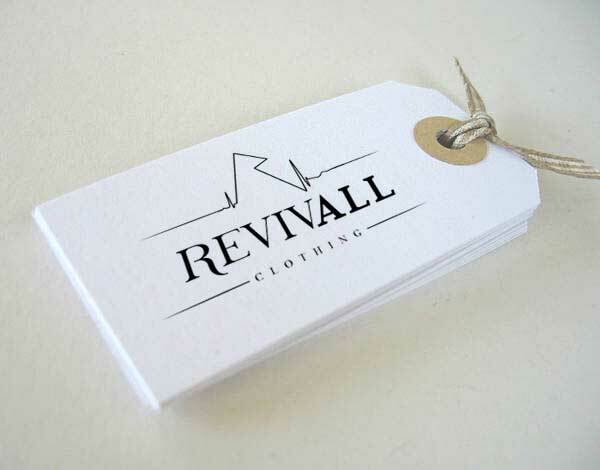 An updated logo that reflects RevivALL Clothing's spirit and brand.